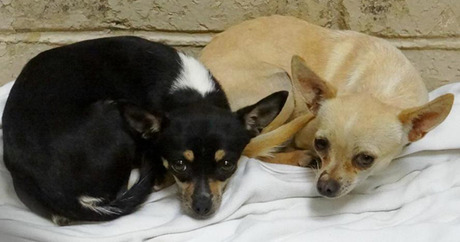 Dolce and Gabbana were two Chihuahuas up for adoption in New Mexico; despite 936 Facebook shares, they were euthanized due to shelter overcrowding. I want to apologize to the public on the [unofficial] behalf of animal rescuers this National Pet Month. Normally, we’re a bit nuts about our furry friends, but, as a whole, we know, in the back of our minds (for better or worse), there are no pets without people. We’re often called overprotective toward our wards, and we can tend to throw our whole hearts into our work. We know this field can tear you up and spit you out, but every day you see those fluffy faces crying out to be saved, and really, that muddies the waters of sound decision making. We waffle while figuring out what it means to do the right thing for the animals, and falling into the worry-wart trap of thinking no home is good enough for the dogs and cats we hold dear. But, in the past few weeks, some of us have crossed the line and forgotten that, in our society, people need to come first. If I had a dollar every time I heard someone lament over the problem of pet overpopulation with the phrase, “I wish we could save them all…,” I would have enough money to buy a private island. And on that island would be a bunch of dogs who really did need a second chance. Paul, sadly, would not have made it onto my island. Paul, a German Shepherd with a demonstrated history of aggression, found himself in a North Carolina animal shelter and was scheduled to be euthanized. Although Paul bit a shelter staffperson twice, the shelter agreed to adopt the dog out to a local trainer. Sadly, less than two weeks later, in a public park, Paul seriously attacked the adopter and two other people before he was fatally shot by a police officer. Was the chance of life at human cost better than a compassionate, humane death for Paul? 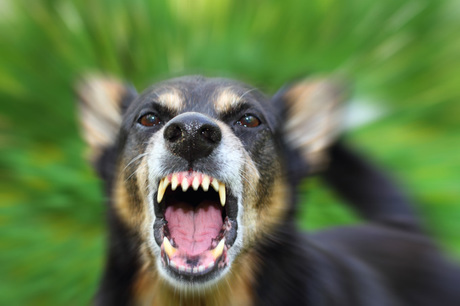 Were the consequences of releasing a dog with a known history of unprovoked aggression truly evaluated? And why are aggressive dogs receiving so much attention from people who want to save them, when there are thousands of friendly — or at the very least safe and rehabilitable — dogs dying in shelters every day? Paul isn’t the only example. There is Mickey, a Pit Bull Terrier mix who first killed a puppy, and then broke the bones in a child’s face, but still had over 60,000 people pressuring the shelter for his release. Although a judge ordered him to be “defanged:” neutered and sentenced to spend the rest of his life in a rehabilitative sanctuary, the dog is now living in the Maricopa County prison system. And then there is the 8-month-old Labrador–Chow mix who became infamous in last week’s viral video in which a cat stopped a brutal, unprovoked attack towards a young boy on his bicycle. 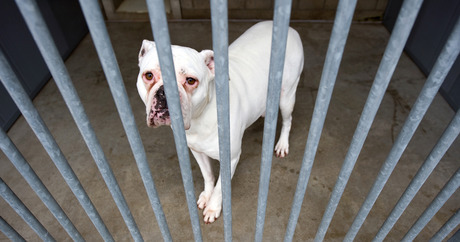 The Bakersfield, Calif., animal shelter in which the dog is being held for rabies observation (prior to euthanasia) has had their phone lines flooded with people wanting to adopt the aggressive animal, while friendly pets languish in kennels. There are a dozen aggressive dogs, at any moment, who have hundreds — or even thousands — of people rallying to save them, while dogs who have committed no such acts are condemned to death because they were simply in the wrong place, at the wrong time, and the shelter kennels were full. To my fellow rescuers, please stop for a moment and realize: There are so many wonderful, truly rehabilitable dogs in shelters who need that second chance. Dogs like Dolce and Gabbana, who in spite of 936 shares on a volunteer-run Facebook page, simply ran out of time at the Roswell Animal Control facility in New Mexico. Today, at this very moment in our country, we cannot save them all. There are not enough adopters for the specific animals available, nor are there the medical resources, the transports from “high-kill” to “low-kill” areas, or the financial means to make that change today. But I do believe, with time, effort, education, and resources we can get much, much closer. And every day we get a little closer. However, I will always believe public safety needs to come first. When we domesticated dogs tens of thousands of years ago, we took on the responsibility that comes with having animals and people live together. Let’s not forget that responsibility today. Saving should not forego safety.